1. High precision structure for simple and easy operation and repair. 2. CPU simgle chip ,step motor, easy and accurate to set the bag length. 3 .It’s owns simple circuitry and outstanding function. 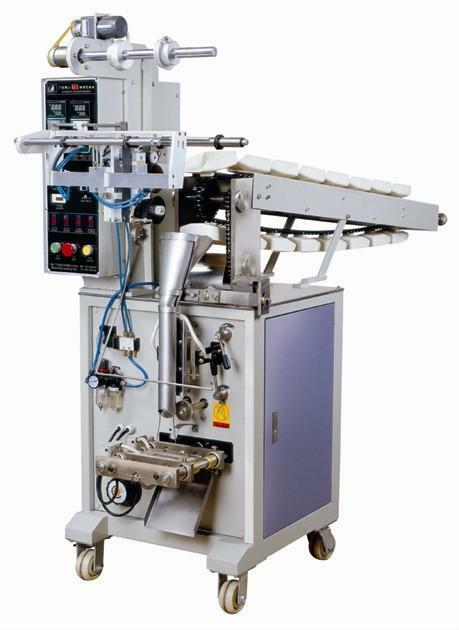 4 .The machine completes the whole procedure of filling,bagging,date printing,charging(exhausting) automatically. 5 .Selecte device: Linked bags device. Suitable for packaging of various kinds of leavened food, shrimp bars candies, peanuts, popcorns, rice and such materials in grain or piece.